A recognized leader in online payment solutions & implementation of financial services applications for over 10 years. We have an intimate understanding of the eCommerce industry and a collaborative business approach. Our team is standing by to assist you with everything you need to be successful. Flawless turnkey payment platform and specifically designed Gateway for the International Community. 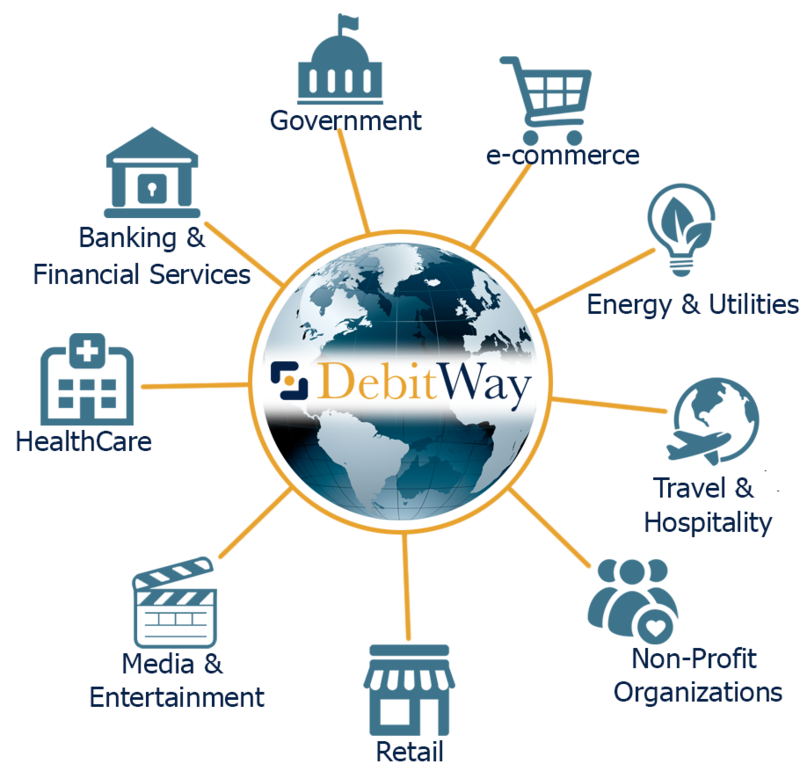 DebitWay has become a recognized leader in Payment Processing services. Through innovation and experience, we have maintained an outstanding track record of bringing ground-breaking products, services and technology to the online payment industry. 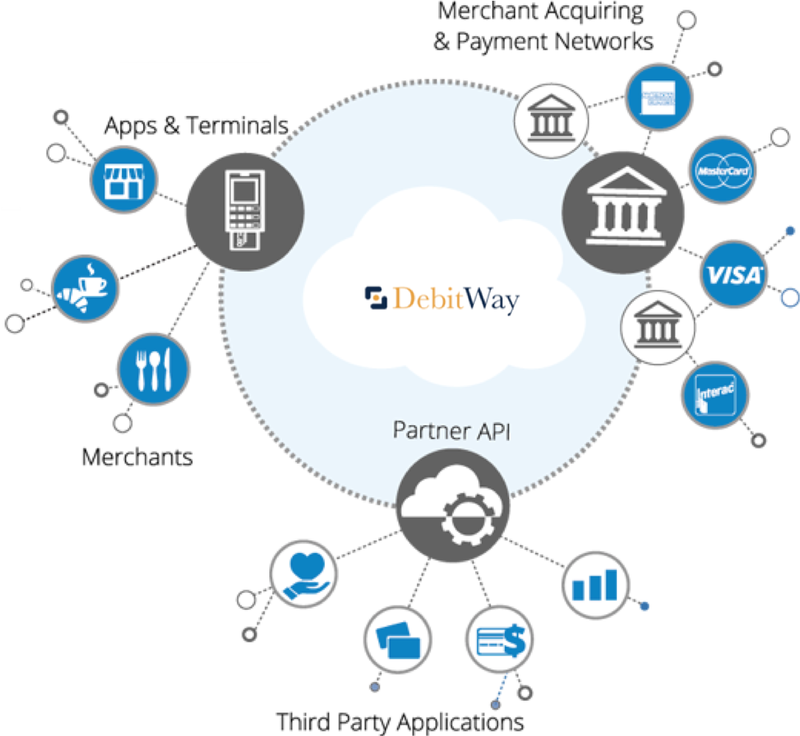 Supported by the most trusted associations in the market such as trust companies, credit unions, banks and payment related companies; DebitWay connects Merchants & Customers by providing an immediate, secure and effective system to make payments over the Internet. Flexible and secure payment platform which meets the highest security standards as mandated by the major credit card organizations such as Visa and MasterCard. Easy-to-implement solution for payments and simple-to-use web tools allowing you to monitor your transaction flow in real time. DebitWay manages the purchasing process for the Merchant to ensure the highest level of security. Advanced reporting, state of the art fraud scrubbing tools, a free shopping cart, and 24/7 live service for Merchants and their Customers. We’re Experienced, We Understand You, We’re Always Here for You, and We are Global! We support open source plug-ins such as Magento, Woo Commerce, Shopify, Spredly and many more. Our DebitWay Gateway is truly Plug & Play. True partnership from start to launch. The Solutions are tailor made, based on your “Live” date. We provide you payment-processing approval within 24 hours. We provide you qualified rates & fees within 24 hours. We guide you through a compliance checklist specific to the industry you are focused on. We take you through integration & onboarding so that you are ready up and running within days!! We provide you with a new Merchant bank account with 24/7 merchant access. Merchant settlement accounts in USD, CAD, Euros and GBP. Credit card processing in the countries currency. A company incorporation service and Banking services if needed within 3-5 days. A single integration to access all of our Payments options. Bank transfers that are instant; Domestic and/or International Wires. Service to over 62+ countries worldwide. A secure and efficient payout service. Bank transfers that are instant. Service to ALL of Canada’s major financial institutions and Credit Unions. Access to ALL Canadian financial institutions.